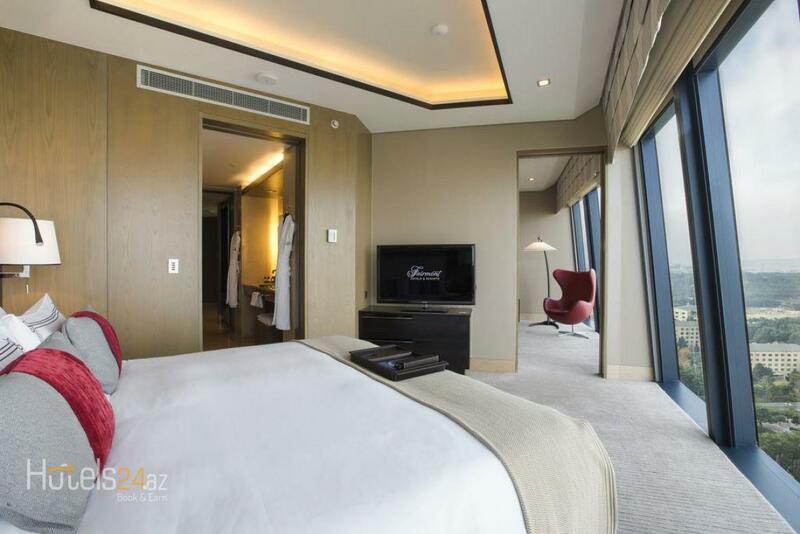 This twin room has a electric kettle, iPod dock and bathrobe. 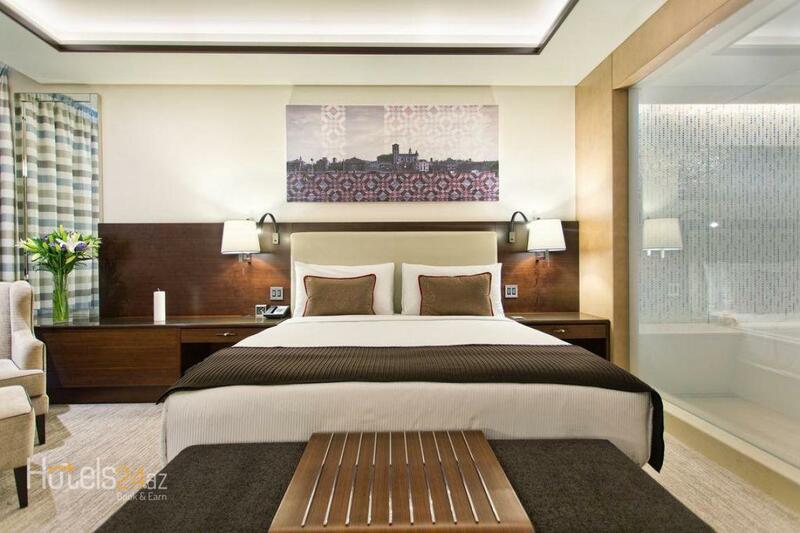 Modern room decorated with walnut wood panels includes a flat-screen TV and coffee machine. 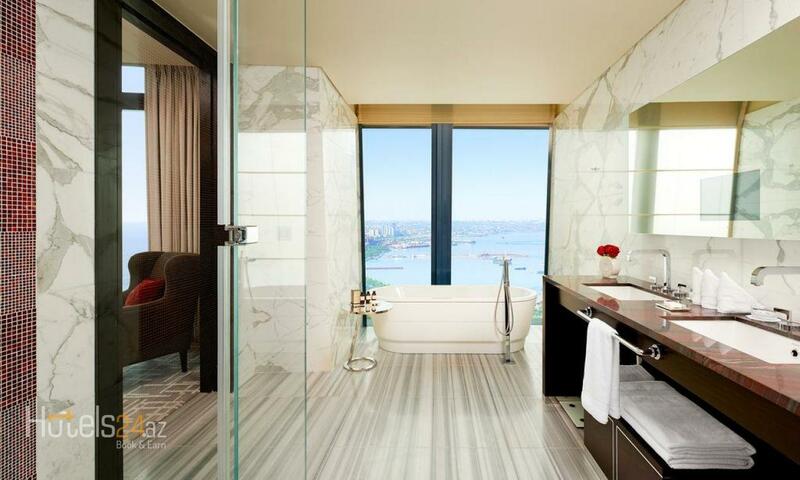 The marble bathroom comes with a glass wall and bidet. 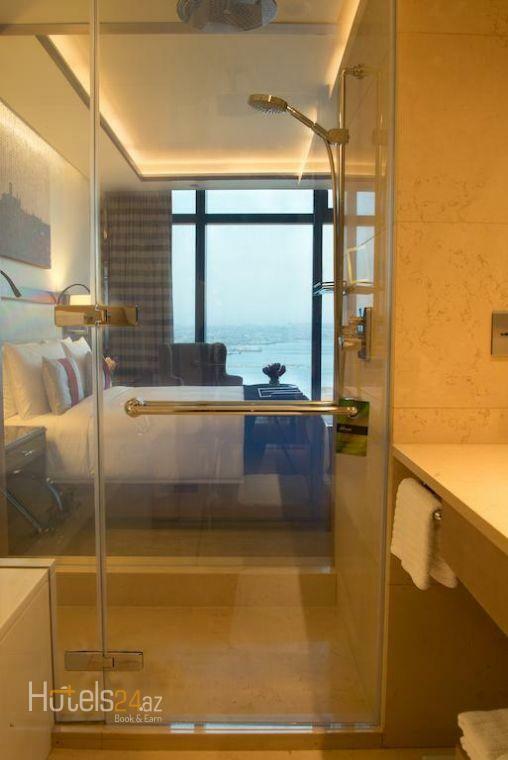 This room features a view of the Caspian View. 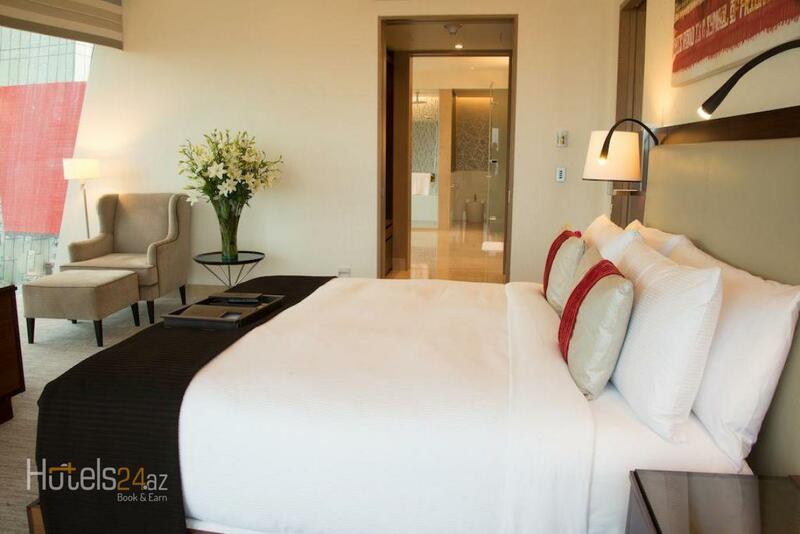 This double room has a seating area, bathrobe and soundproofing. 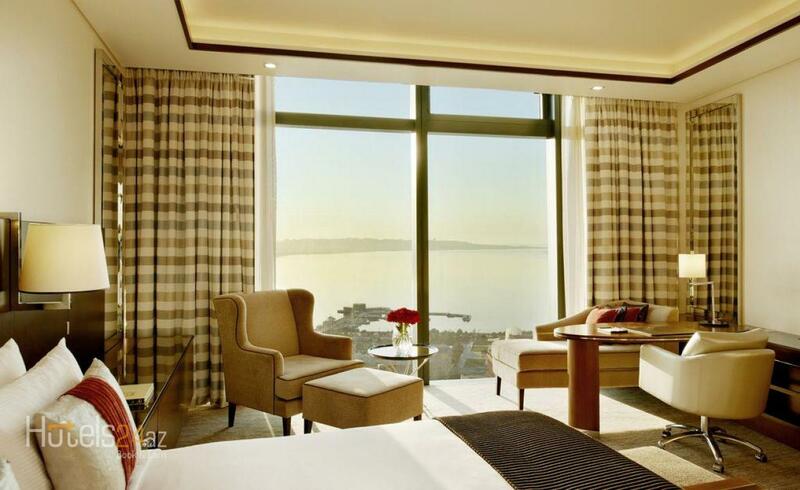 Access to Fairmont Gold lounge located on 18th floor with spectacular view of the Caspian Sea, complimentary breakfast, afternoon tea and evening canapes, butler services, complimentary local wine, beer and soft drinks. 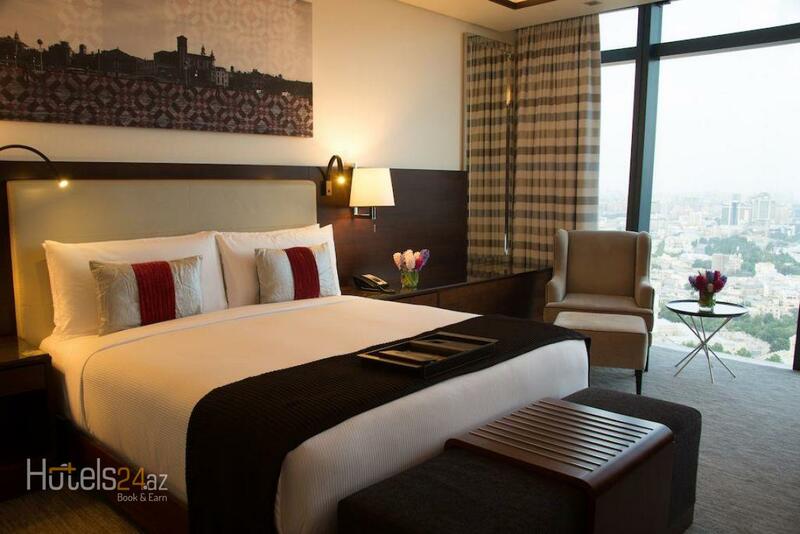 Modern room decorated with a flat-screen TV and spacious work desk. 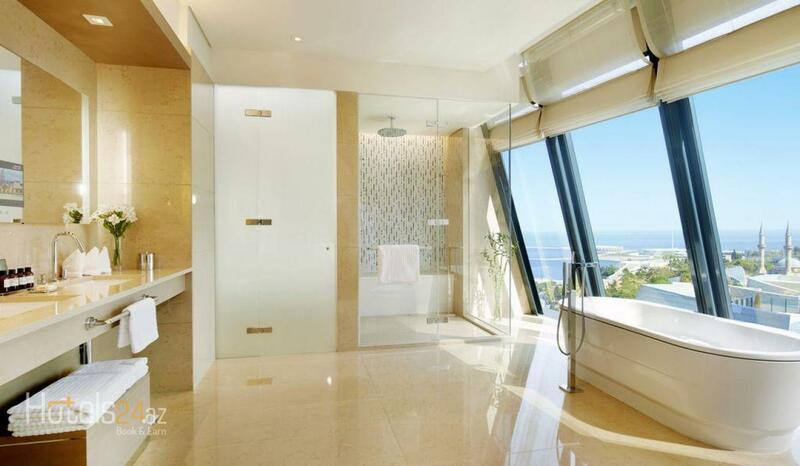 The marble bathroom comes with a glass wall and bidet. 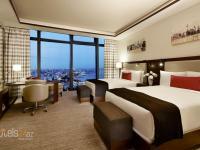 This room features panoramic views of Baku City and a separate living room. 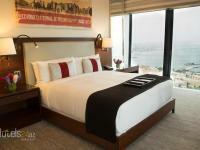 This double room has a sea view, soundproofing and cable TV. 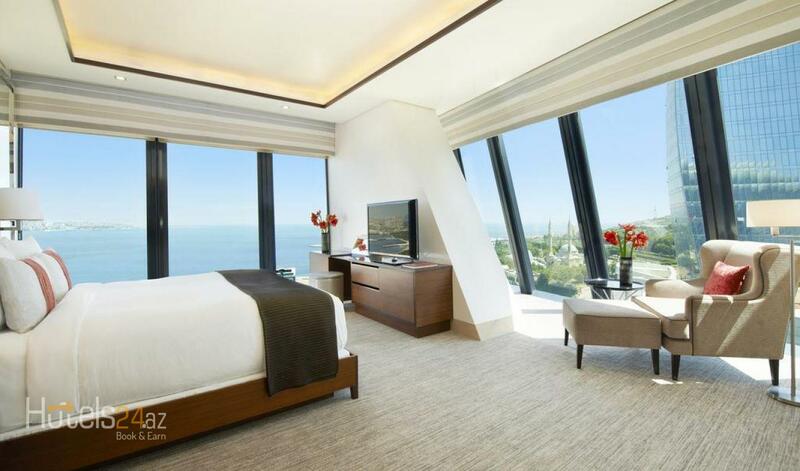 This room features panoramic views of Caspian Sea and a separate living room. 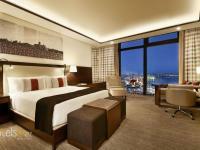 Modern corner suite with 2 flat-screen TVs and spacious work desk. 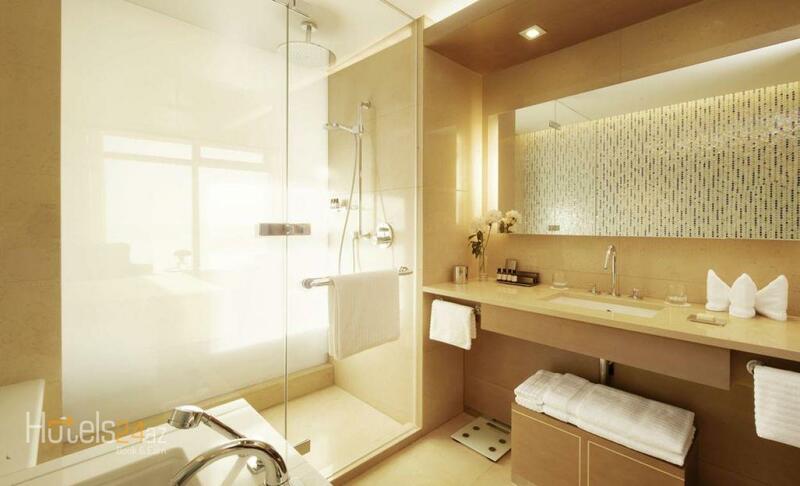 The marble bathroom comes with a glass wall and bidet, and there is also an additional guest bathroom. 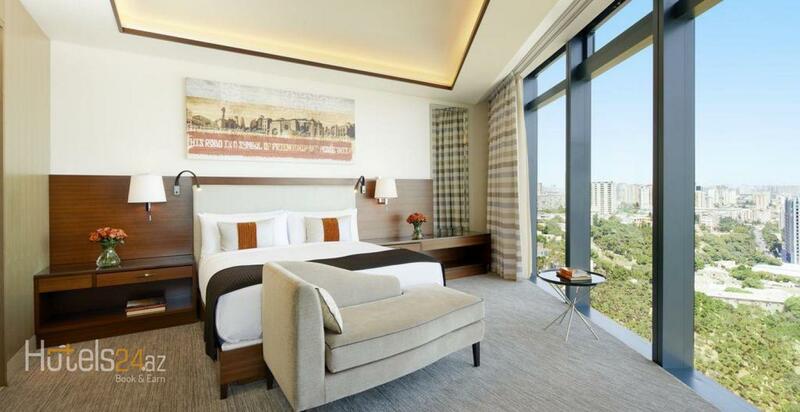 This suite features panoramic views of Baku City and Flame Towers. 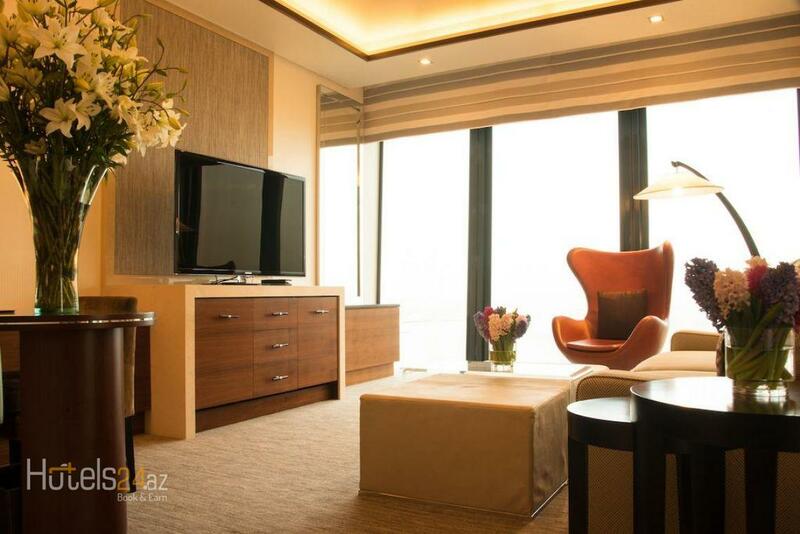 This suite features panoramic views of Caspian Sea and Flame Towers. 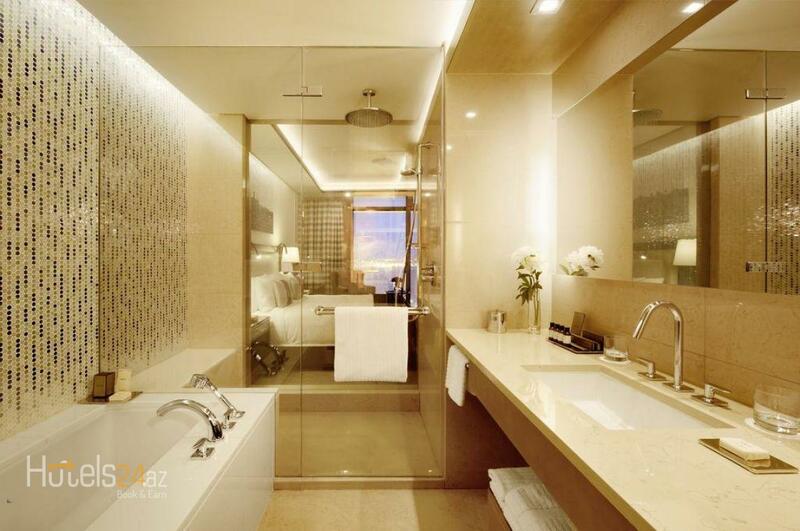 This suite has a minibar, soundproofing and hot tub. 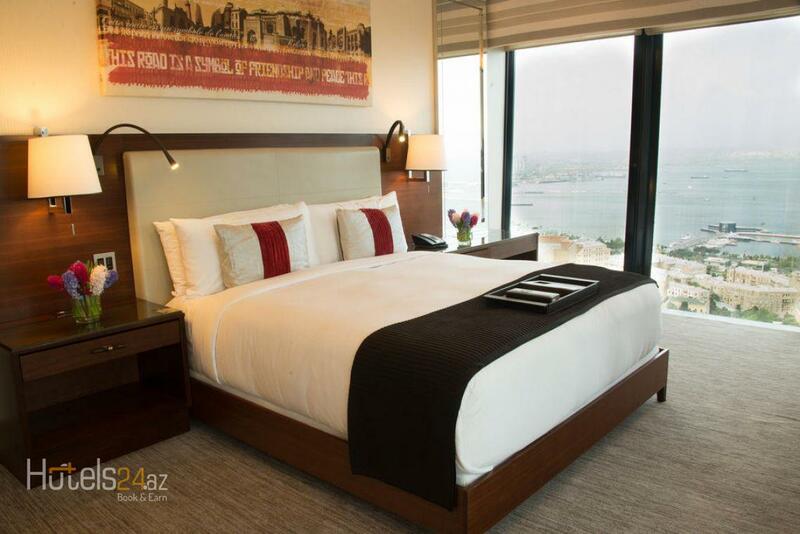 This double room features a electric kettle, air conditioning and iPod docking station. 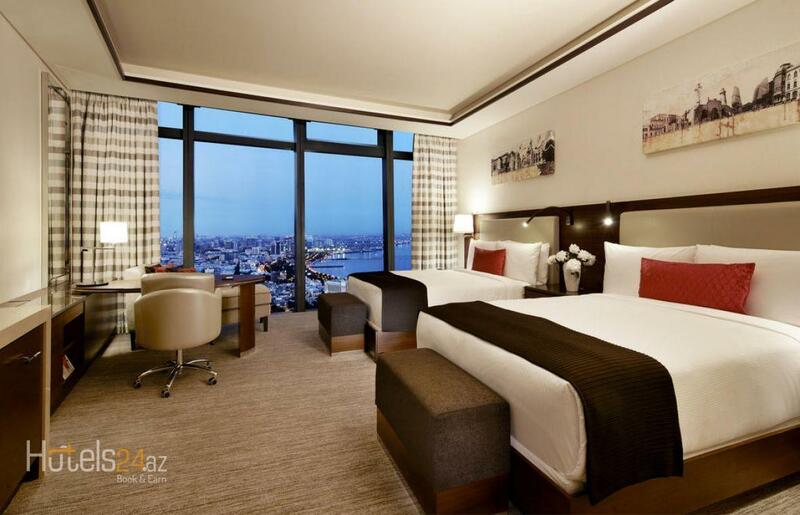 Located in the Flame Towers Complez, just a 3-minute walk from the famous Martyrs' Alley, 5-star Fairmont Baku, Flame Towers features picturesque views of Baku City or Caspian Sea. Modern air-conditioned rooms at Fairmont Baku, Flame Towers include contemporary décor and a flat-screen TV. 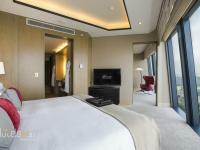 A spacious work desk, fully-stocked minibar and panoramic windows are also fitted in all rooms. 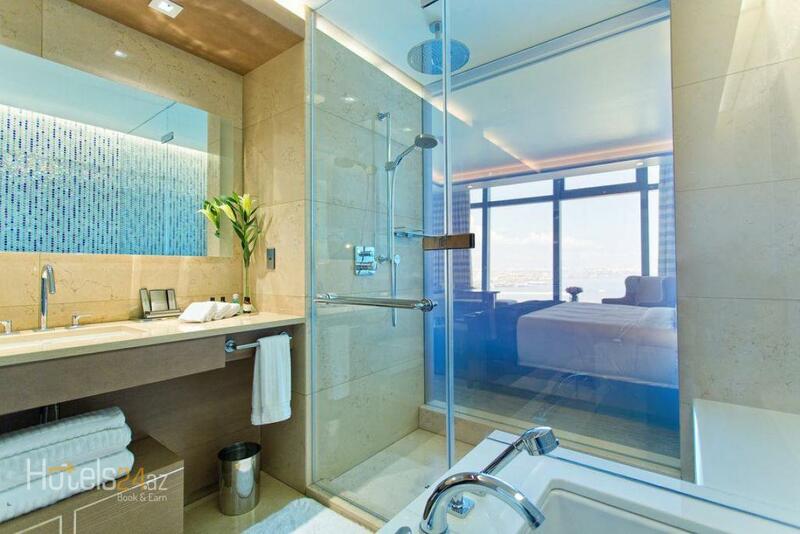 The marble bathrooms come with a glass wall and bidet. 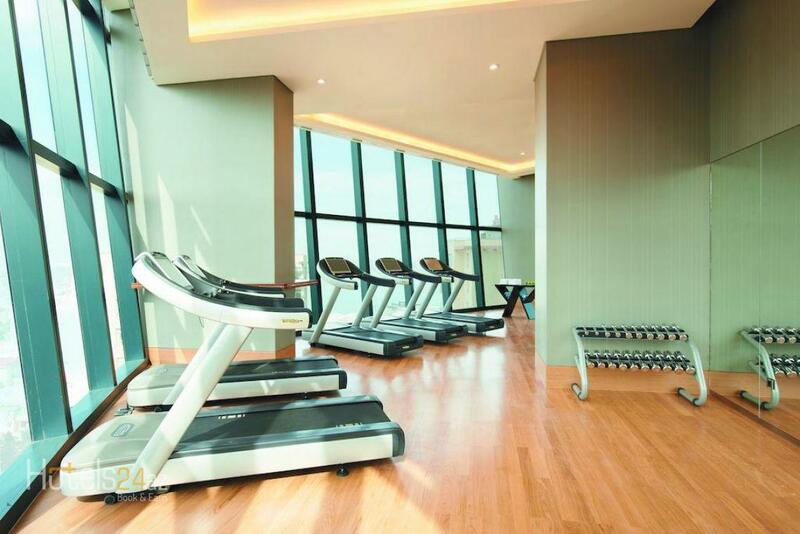 Guests are offered rooms with iPod dock station and a coffee machine. 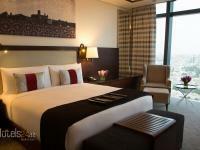 Certain rooms offer access to Fairmont Gold Lounge. 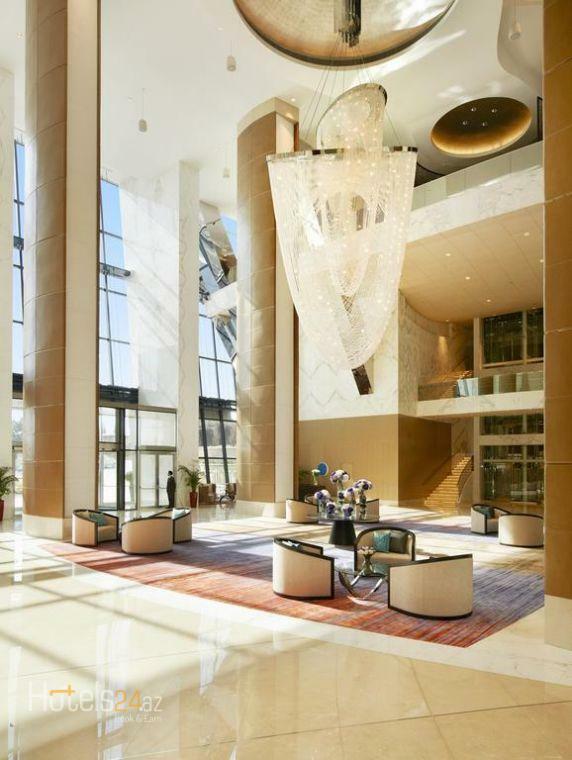 Located on the 19th floor, Fairmont Gold Lounge offers exclusive service with soft drinks, local alcoholic beverages and canapés throughout the day. A rich variety of dishes is served in Fairmont Baku, Flame Towers's Bistro Restaurant, which also offers Mediterranean cuisine. Original and traditional cocktails can be enjoyed at Nur Lounge Bar. 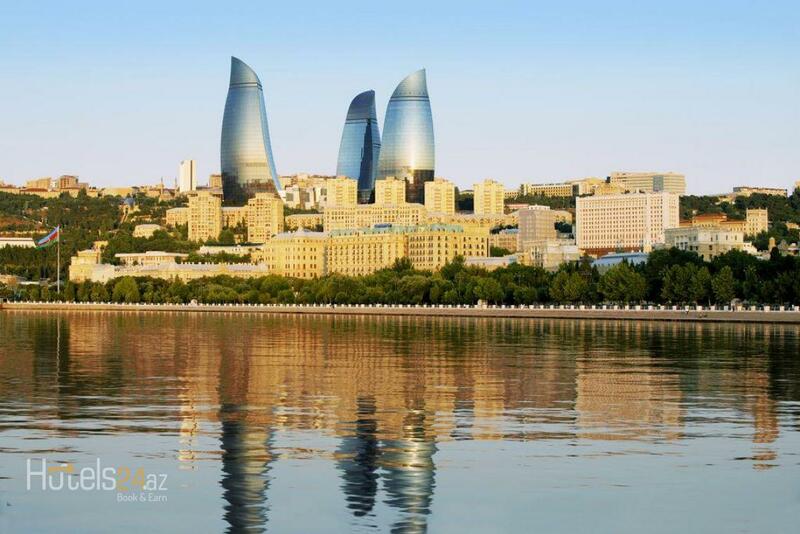 You can enjoy a movie at the Baku's only IMAX movie theatre Park Cinema Flame Towers, located in the same building of Fairmont Baku, Flame Towers. 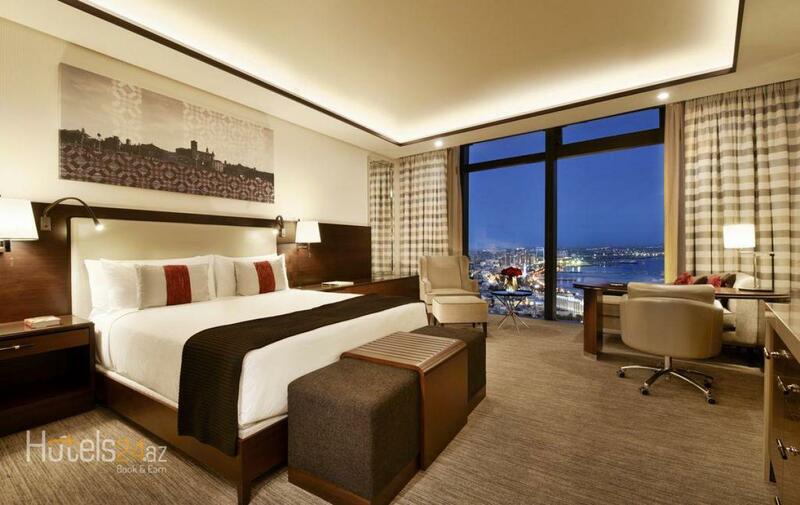 Baku Old City district with the 15-th century Shirvanshahs' Palace is 15 minutes' walk from Fairmont Baku, Flame Towers, and Caspian Sea embankment is a 20-minute walk away. A transfer to Heydar Alyev Airport (32 km) is provided on request.